Blue, spunky and Swedish: these are the things I love about Polestars. And now I’m hearing that it could start making electric performance cars? You have my attention. Speaking to a senior but unnamed source at Volvo’s parent company, Geely, Auto Express claims we’ll be seeing the first standalone, performance electric Polestar before the year’s out. Allegedly, the company wants to create a whole family of brands like VW Group has. With Volvo cementing its position rivaling premium brands, Geely wants Polestar to take a sportier role within its group. It wants to replicate what Mercedes’ AMG brand has done in producing its own bespoke AMG cars as well as modified Mercedes-AMG models. 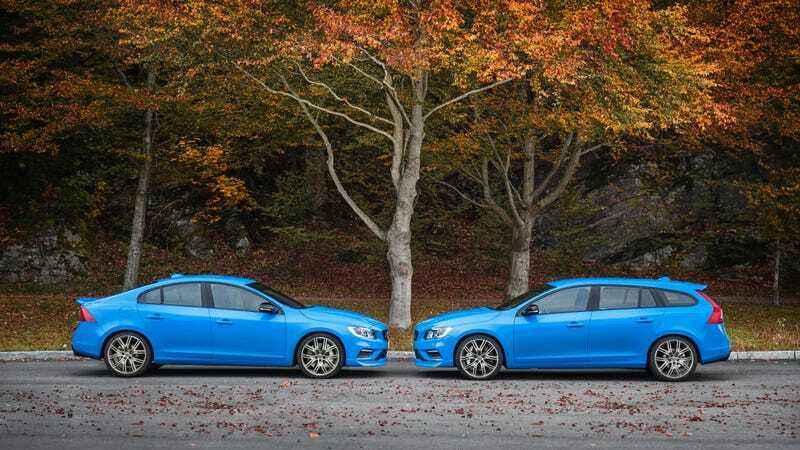 This is interesting because, currently, Polestar is kind of to Volvo what AMG is to Mercedes: the two create sportier and more powerful performance versions of the automaker’s regular cars. But while AMG hasn’t prioritized eletrification for Mercedes at all, it seems like Polestar might. If Polestar could split itself between making performance gas cars and electric cars, that would really be something. When asked for comment, a Polestar spokesperson responded that the company doesn’t comment on speculation. Hmm!